« More Gigs Coming up! Welcome to all the CFAs, Mainlanders, Cape Bretoners, Nova Scotians, Mes Amis de Nouveau Brunswick, and Prince Edward Islanders to Newfoundland! We’re more than happy to be showing off for you this weekend! 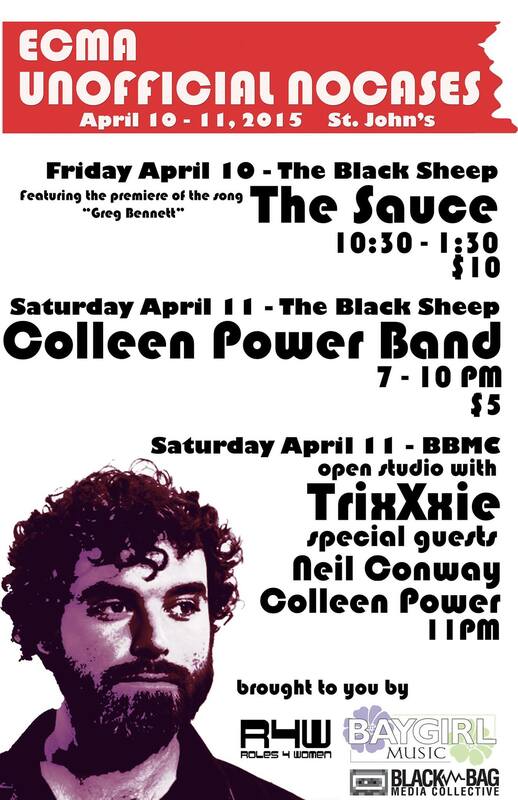 The Black Bag Media Collective, Roles 4 Women and Baygirl Music present: the 2015 UNOFFICIAL NOCASES on ECMA WEEKEND FRIDAY APRIL 10 – SATURDAY APRIL 11 at The Black Sheep, 164 Water Street. Featuring NL’S punkabilly sweethearts – THE SAUCE (Colleen Power, Liz Solo Mike Kean, Suzanne Power) – play live from 10:30 PM to 1:30 AM. There will be a very special guest appearance by MIKE O’BRIEN from Dogmeat BBQ and da Slyme. and on SATURDAY APRIL 11 – BBMC at 11 PM, it’s an Open Studio hosted by TRIXXXIE (Tallulah Fucque, Marilyn Monroe Take-Out, Scarlet O’Whora). 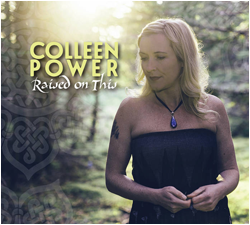 Performance by TrixXxie and special guests COLLEEN POWER and NEIL CONWAY. Donation at the door appreciated. We’ll show ya how it’s done! Enjoy the week and drop down and see us! This entry was posted on Thursday, April 9th, 2015 at 3:37 pm	and is filed under Uncategorized. You can follow any responses to this entry through the RSS 2.0 feed.